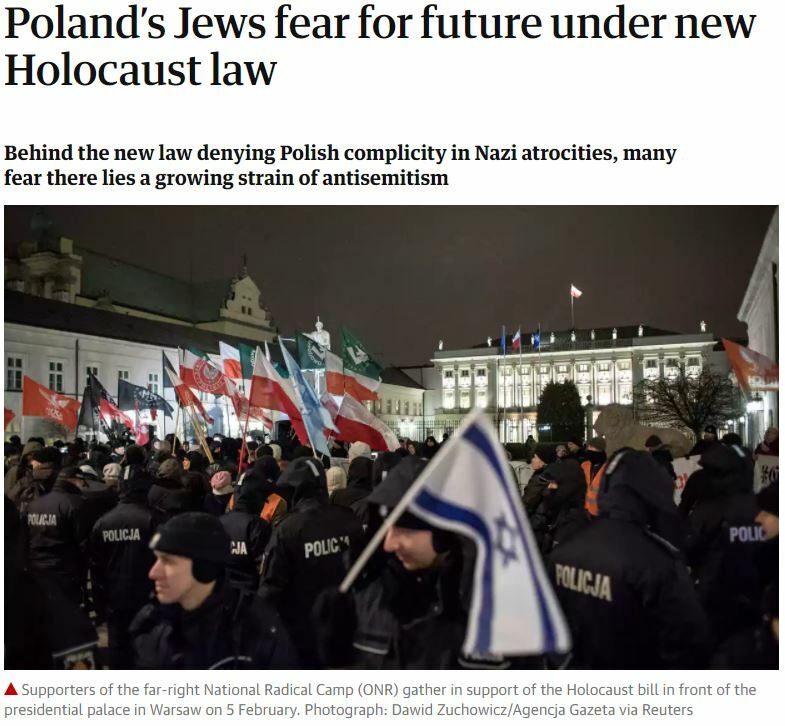 A Guardian article (Poland’s Jews fear for the future under new Holocaust law, Feb. 10th), on the controversial Polish law that imposes jail terms for those claiming that the country was complicit in the Holocaust, chose this photo to illustrate the piece. 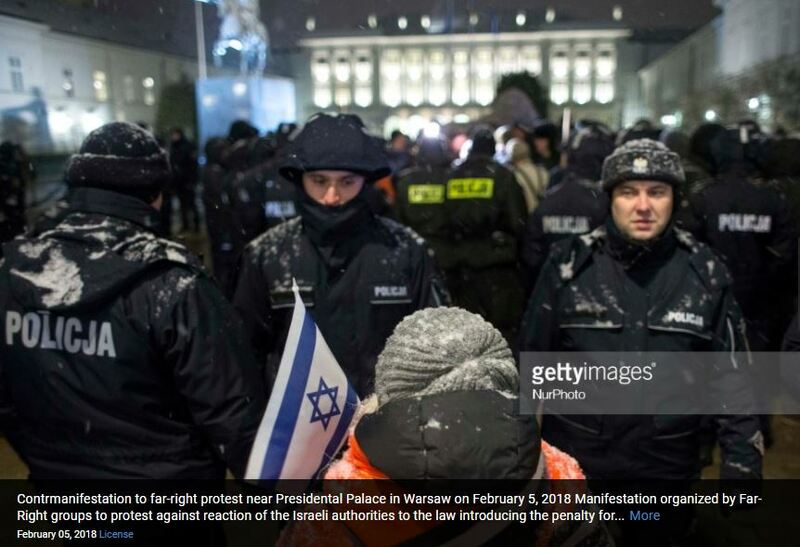 However, other photo agencies who covered the event, organized by the openly antisemitic All Polish Youth (MW), and which included antisemitic and anti-Israel chants and banners, tell a different story. Those few people holding Israeli flags were clearly pro-Israel counter protesters – a few Poles opposed to the Holocaust bill and opposed to the far-right demonstrators present that day. Here’s one Getty photo of someone holding an Israeli flag, separated from the main demonstration by a line of police, representing a small counter demonstration. We contacted Guardian editors, who upheld our complaint and amended the caption to make clear that those carrying Israeli flags were indeed counter protesters. So just an innocent careless mistake … sure, sure.